What they thought was going to be a mere "formality" turned into a headline-grabbing rebuff of adolescent transgenderism by a Ohio probate judge. According to Leigh and Kylen Whitaker, last month Judge Joseph Kirby of Warren County, Ohio unexpectedly turned down what they were led to believe would be effectively an automatic approval of their request to change the name of their daughter Heidi to Elliott because she self-identifies as a male. Judge Kirby's decision, they told reporters, included a mini-lecture on the influence of the media and statistics showing that a vast majority of kids grow out of gender dysphoria. "We thought it was just a formality, basically," said Leigh, citing parents from her support group that assured them that judges hold the hearings just to make sure someone's not trying to change a name for fraudulent reasons. But as WKRCCincinnati reports, Judge Kirby made quite clear that he wasn't there to rubber-stamp their request. "He started out by asking us did this all start when all of this stuff came out in the media. And we didn't know what he was talking about. And later on he clarified he was talking about when Bruce Jenner came out," said Leigh. "The judge met with us for 15 to 20 minutes and then decided that he knew better than the parents and the doctors and our child," said Kylen. "We just don't feel that's right." Kirby, who referred to the teen as Heidi in his ruling, wrote that "children change significantly and rapidly," and concluded his denial of the request with three words: "Age. Develop. Mature." According to the Whitakers' lawyer, LGBTQ attorney Josh Langdon, this isn't the first time Judge Kirby has turned down a transgender name-change request. His decision regarding Heidi/Elliott carries "federal constitutional issues," said Langdon. 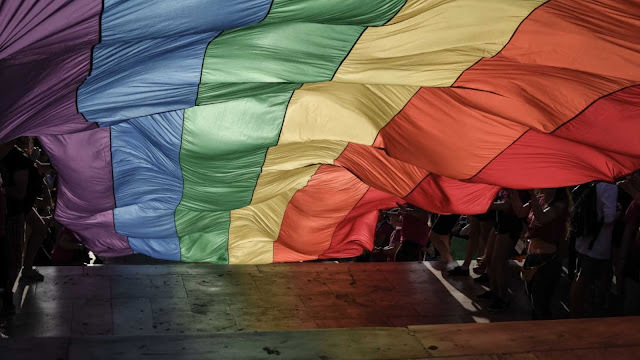 "Importantly, the parents' right to decide the upbringing of their child, there's also the child's right to express himself," he said, WKRC reports. "There are First Amendment issues." The Whitakers said Elliott has been undergoing therapy at a transgender clinic since coming out as transgender a year ago. They maintain that a legal name change is crucial because their child continues to be listed as a girl in school and state records. The case will be heard by the 12th Circuit Court of Appeals, WKRC reports.